Jack Black wears Oliver Peoples Afton RX eyeglasses in Goosebumps. 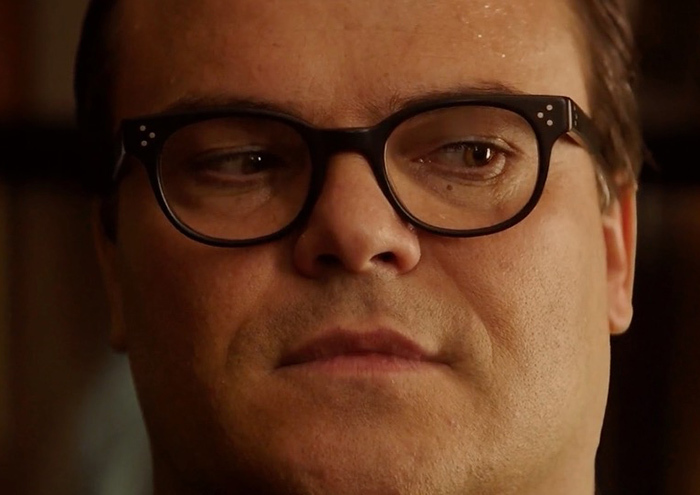 Jack Black wears Oliver Peoples Afton RX eyeglasses in the 2015 movie Goosebumps. These eyeglasses have three dots (rivets or pins) on the front and on the sides of the frame. These glasses are also worn by Adam Levine in the music video Sugar of Maroon 5.